Here at Daikin Heating Commercial Products, our specialty is providing you with the best way to heat and cool your business. The Daikin Ductless VRV System brings heating and cooling into your home without the costly expense of putting new ductwork into your office. However, what are the advantages of going ductless? The Daikin system creates separate zones for areas or rooms of your business. That means each office is the temperature you want when you want it. The Daikin system is energy efficient. Studies show that 30% of heating and cooling is wasted on office spaces that do not require it. Energy efficiency saves you money. Daikin systems are quiet. The part that makes noise is outside of your office so no droning noise when you run the air. Moreover, the lifespan of our products affords us the chance to offer Warranty Plus options giving you 5 to 10 years expanded warranties. Finally, the Daikin Heating Commercial Products are attractive to look at and offer different ways of installing to give your decorating plans all the options you will need. The best advantage of our system is Daikin itself. We are the only company in the world that is dedicated to making the systems and the refrigerants. We are creating some of the most technologically advanced systems ever introduced to the world of heating and cooling. 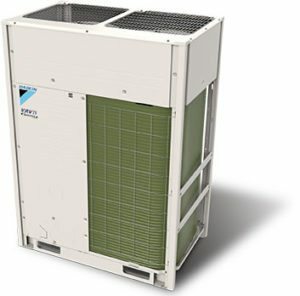 Daikin is on the cutting edge of product development and has been since the invention of VRV in 1982. We know that Daikin is renowned for the unique quality and versatility of our integrated solutions. Isn’t it time that you found out what makes us the best by letting us bring your home to the next level of comfort and efficiency? Isn’t it time for you to call a Daikin heating contractor and get the information you need to make the right choice for your home and business? We have local sales and service centers all across the Pacific Northwest to give you the personal touch when you are ready to choose the next level. Contact one of our Daikin dealers today and live a more comfortable tomorrow.